I wondered how many posts I could title Caturday before the internet rose up and strangled me, so I’m focusing on the color aspect of this one instead. More filling stitches! I’ve taken the opportunity to play around with French knots inside lattice stitch, whipped stem stitch, and seed stitch, which is such a basic filler, but for some reason I’ve always avoided it. 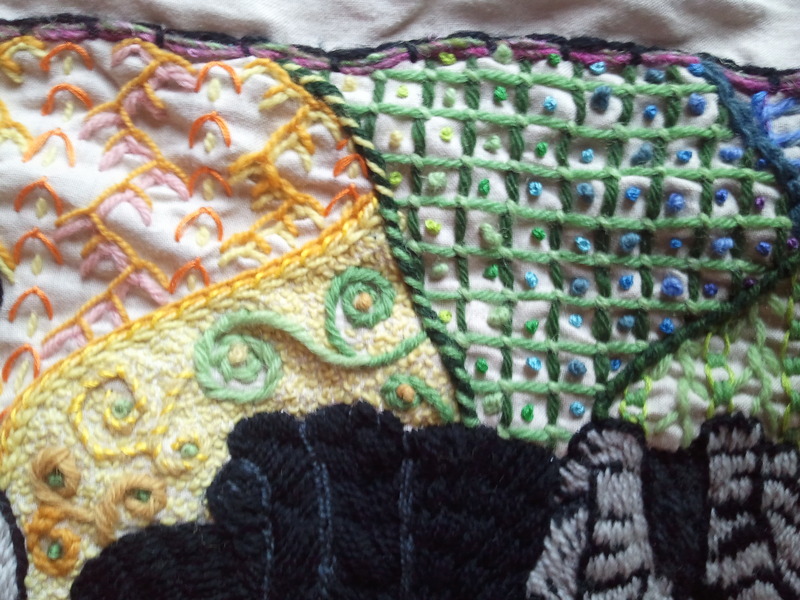 Because it’s such a flat filler, it contrasts nicely here with the raised stem stitch swirls. To the right, you also see feather and fly stitch next to plain old fly stitch in what is thus far the most open of these blocks of filler stitches. 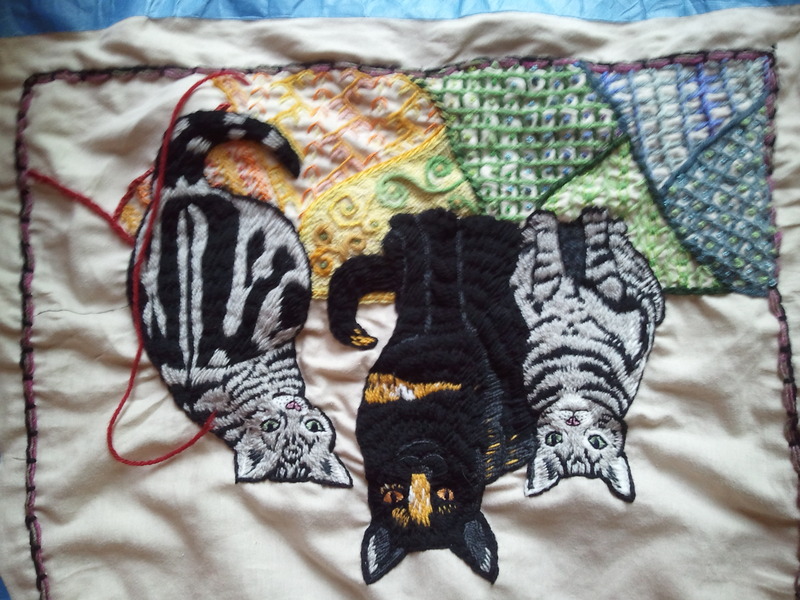 This entry was posted in Uncategorized and tagged cats, color, embroidery, surface embroidery, wool by Rene. Bookmark the permalink.